Decide on how many colours of tissue paper you will be using and begin to cut the tissue paper into various sized shapes. 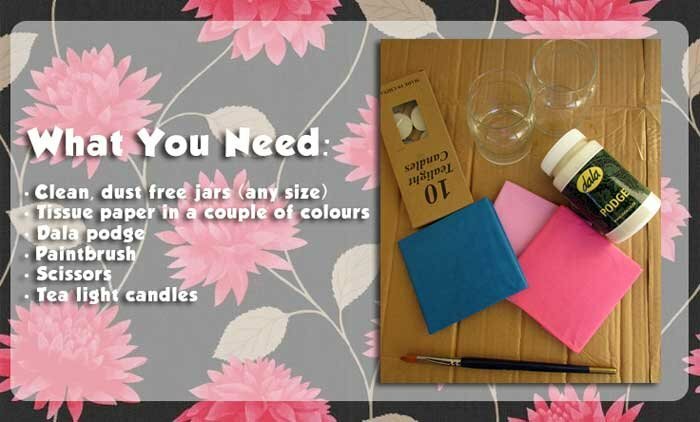 You could cut squares, rectangles, circles, hearts, diamonds, or stars etc - perhaps even a combination of all of these! 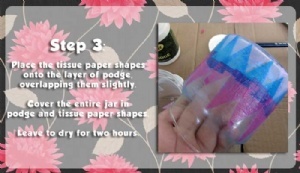 You could also shred or tear the tissue paper as this will give you a different end result. 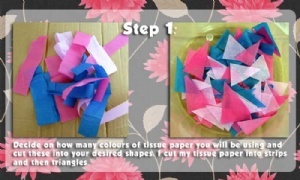 I cut my paper into strips and then triangles. Don't worry about them being perfect. Work in small areas at a time. 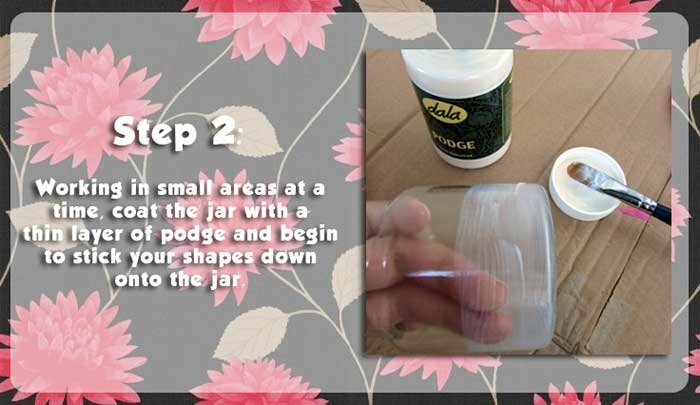 I worked in bands, or in layers and used the paintbrush to coat an area on the outside of the jar(s) in a thin layer of podge. Place the tissue paper shapes onto the thin podge layer making sure to overlap them slightly, and working on small areas at a time. Ensure that you cover the entire jar. 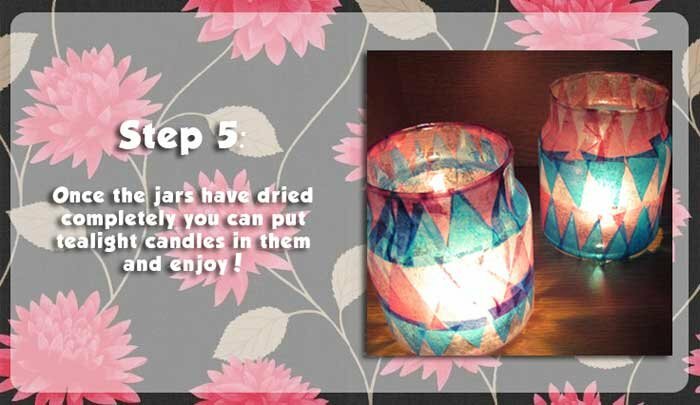 Do not fret about any wrinkles that may appear in the paper as this will add a little charm to the end result. Allow this to dry for 2 hours without touching them at all - wet podge will stick, lift and tear. 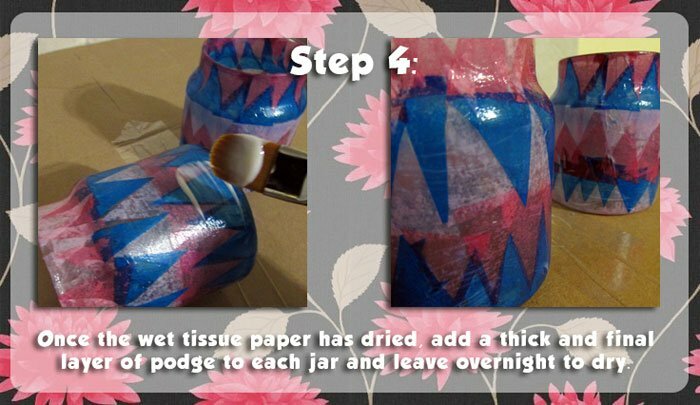 Once the wet tissue paper has dried completely add a final, thick coat of podge to provide a seal and extra protection. Leave to dry overnight. 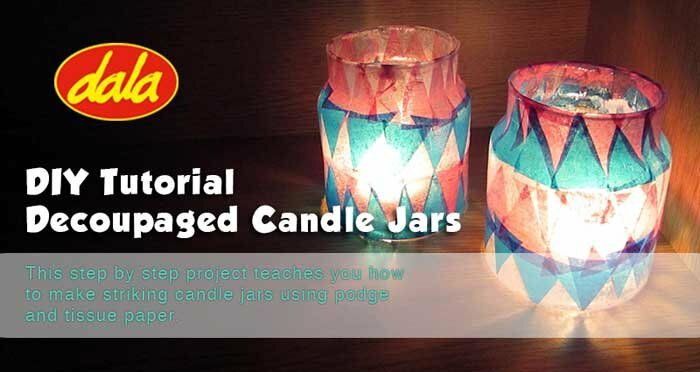 When dry, place tea light candles inside the jars. This item has 878 views.